If you’ve heard anything about the new Smithsonian National Museum of African American History and Culture, it’s probably that the museum is the hottest ticket in Washington, D.C., resulting in long lines and the need to purchase passes three months in advance. Genealogy buffs ought to know that the museum has a hot ticket, of sorts, for them as well. In collaboration with FamilySearch, the Afro-American Historical and Genealogical Society, the National Archives and Records Administration, the California African American Museum and thousands of volunteers, the museum has made it easier to access the historical records of emancipated African Americans with the recent launch of DiscoverFreedmen.org. Instead of answering a reader’s question for this column, we decided to take a look at this new development in African-American genealogy research. 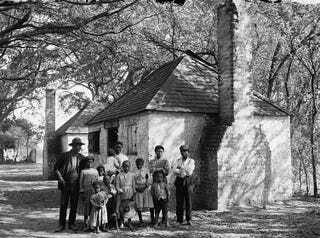 As we have noted previously in this column, in March 1865 the Freedmen’s Bureau (formally known as the Bureau of Refugees, Freedmen, and Abandoned Lands) was established in the U.S. War Department to provide aid to thousands of emancipated slaves and poor whites living in the South and the District of Columbia. The act creating it limited the agency’s operation to just one year after the end of the Civil War, applying only to the former Confederate states. Congress overrode Johnson’s second veto, and the Freedmen’s Bureau Act of 1866 became law on July 16, extending the work of the agency for two more years. Subsequent legislation extended it further until, in June 1872, a law was passed abolishing the bureau and turning over its records to the National Archives. Between the years 1865 and 1872, the bureau kept track of a variety of records, including marriage, medical, school and census information. Because the enslaved had been considered property and were therefore rarely named in pre-Civil War records, Freedmen’s Bureau records can provide an important starting place for many African Americans who are tracing their roots. With partial name-searching available, the database has already revolutionized the way in which we can research African-American ancestors. While in the past the records themselves were available digitally through FamilySearch (the website of the genealogical organization sponsored by the Church of Jesus Christ of Latter-day Saints), it took a lot more time and guesswork to search records page by page in hopes of finding mention of an ancestor. Now, at DiscoverFreedmen.org, you can type a name into the search and find any records in the Freedmen’s Bureau papers that may relate to your ancestor. The Freedmen’s Bureau collections available to search through the site include a wide variety of records, including marriage, land, court, bank, medical and educational records as well as work and labor agreements. The information each record holds will vary, sometimes including information on family members or other associates. The ease of locating relevant records lends itself to conducting cluster research for anyone who may have been related to or known your ancestor. This type of research is often critical to African-American research, since even after emancipation, records on one individual were often scarce. For example, to test out the database, we searched for the name George Washington Cooke in Mississippi, and the results included this labor contract dated June 5, 1865, which records a work agreement between George J. Mortimar and his former slaves in Copiah County, Miss. This record not only connects George Washington Cooke to his former slave owner, George J. Mortimar, but also includes the names of 19 other individuals who were also once enslaved by Mortimar. Searching for more records of any one of these individuals could provide more information on the plantation, relationships among the enslaved or the slave owner to add to the story of George Washington Cooke. In other instances, the results may lead to a wealth of information almost instantaneously. Searching for Peter Pickens returns a bank record for Peter Pickens in Richmond County, Ga. This record includes his birthplace, in Dallas County, Ala., where he also claims that his mother, Amelia, was left 22 years prior. The record also includes the names of his siblings, Cely, Jerry and Benjamin, who were also left with his mother; and a sister, Molly, who was left in Mississippi. His wife’s name was Mary, and he worked for Robert H. May. This record provides a number of different avenues for further research. Using the database is also a great way to connect individuals through their former slave owners. Once you have the slave owner’s name, you can search for them in the same database and it will return any other work agreements or other records in which their names appear. However, the work isn’t yet done. “The next steps for NMAAHC and Family Search will be to prepare the data for full online research access at our websites,” she continued. Besides DiscoverFreedmen.org, those sites will include NMAAHC and FamilySearch (where image browsing and partial name-searching is currently available). Camp told us that members of AAHGS chapters will be among those helping to transcribe the full records of the Freedmen’s Bureau. If you want to join the effort, read FamilySearch’s explainer.